INDUSTRY.co.id - Jakarta - Infinix Hot S3 posted the fastest sale on Flash Sale held at Lazada Indonesia on last Friday. The Selfie Infinix Hot S3 Smartphone product, has sold out in 60 seconds. Co-Chief Executive Officer of Lazada Indonesia, Duri Granziol has predicted it will happen. When launching the product last month at Lazada, this affordable selfie premium smartphone sold out in just 5 minutes. "Now, the additional stock of Infinix Hot S3 is sold out within 60 seconds of Flash Sale.It's really an amazing achievement, Infinix Hot S3 is now one of the fastest-growing smartphone brands of all time," Duri said in Jakarta on Monday ( 12/3/2018). "Seeing this success, we will hold the next Infinix Hot S3 Flash Sale on Friday next March 16," added Duri. Infinix Mobility, a Hong Kong-based smartphone manufacturing company, has been operating in Indonesia since 2015 and maintaining its existence up to now. In order to carry out its commitment to stay afloat and always produce innovative products for the market, the company has cooperated with two factories in Indonesia. In a media briefing held at Lazada's previous offices, Infinix has clearly announced that their mission is to push the boundaries of the latest smartphone technology, by creating the most innovative yet affordable smartphone selfie technology for the Indonesian market. SEIA Regional Head Infinix Mobile, Marcia Sun, said the affordable selfie premium smartphone is designed to meet the demands of Indonesian consumers. 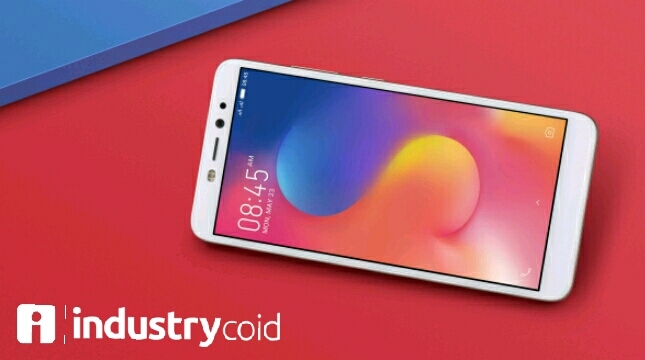 "Infinix Hot S3 is equipped with Infinity Display 18: 9 touchscreen with Qualcomm chipset, guaranteed to produce the best quality images even in low light conditions .Taking the perfect selfie anytime is something that millennial likes to do now, and we have the right products to meet those needs. " he said. Qualcomm's Snapdragon 430 technology that supports Infinix Hot S3 ensures superior performance, fast and superior, with longer battery capacity. During a media conference last week, Marcia also announced that the upcoming product from Infinix Mobility will use the innovative technology features of Qualcomm Technologies in 2018. "We will use different Qualcomm technologies in the next three Infinix products.Each technologies will meet product specifications and will certainly meet the demand of Indonesian users. We are very grateful to be working with Qualcomm Technologies, and we are confident that this long-term collaboration will beneficial to both parties" Marcia added.